J&E Hall Fusion and Fusion Scroll commercial condensing units are the ideal solution for commercial refrigeration sectors where noise, size and reliability are paramount. Fusion and Fusion Scroll units are available for both medium and low temperature applications. The Fusion range of standard commercial refrigeration units are perfect for those demanding a reliable yet cost effective solution. 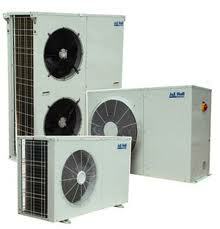 All the Condensing Units are acoustically lined and house a highly reliable reciprocating compressor. 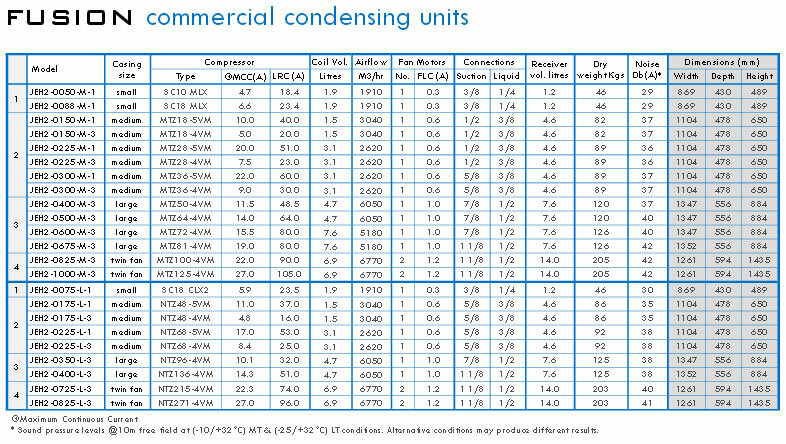 Fusion Condensor Units come complete with all components fitted during manufacture to save the you time and money. J&E Hall JEH2-0050-M-1 Fusion Condensing Unit 0.87 KW. J&E Hall JEH2-0088-M-1 Fusion Condensing Unit 0.87 KW. If you have any pre-sales questions, please call us on 01752 894 777. These Fusion Condensing Units are available to buy online direct from us and delivery is generally next working day from the UK. From a trusted J&E Hall dealer in Plymouth.